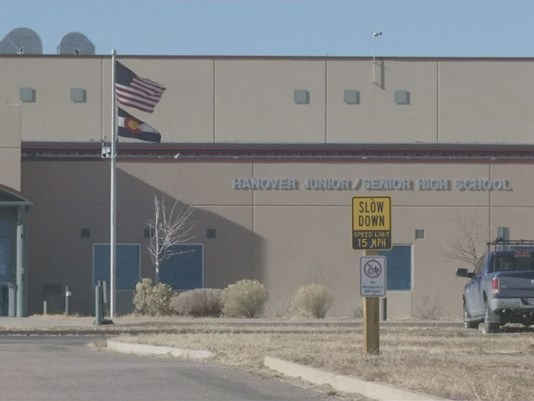 On Wednesday night a Colorado school district decided to allow teacher to arm themselves on campus to protect students. The Hanover School District 28 board voted it in 3 to 2. This allows school employees to be armed after completing training. There are two districts in the school that include 270 students. The district is about 30 miles southeast of Colorado Springs. For law enforcement to get to these schools it takes about 20 minutes. Currently there is an armed school resource officer that the district shares with four other school districts. Michael Lawson, a board member, said that the idea wasn’t to only protect the students from a mass shooting. He said it is also to protect from violence that is connected with nearby marijuana grows. He believes that the nearby marijuana grows are connected with cartels. This was reported by the Gazette of Colorado Springs. The community is very split on the issue. This was demonstrated by a survey taken by the community. School board president Mark McPherson is a retired Army officer. He says that while the staffers will be trained, this is probably not enough to respond to an active shooter. Another concern is if someone fires a gun and misses near a classroom and students. “We need to leave that to the professionals,” said McPherson about the potential of having to handle an active shooter. Also, McPherson says there is only one marijuana grow within five miles and the talk of cartel involvement is only rumors. The vote came on the fourth anniversary of the Sandy Hook shooting. McPherson confirmed the timing is just coincidence. This is not the first school district to allow staff to be armed. Districts in Texas, Oklahoma and California have already allowed their staff to be armed.